Made from a 100% Nitrile rubber compound, #758 Niru® Knob-Top Runner™ is designed to withstand harsh chemicals, greases, oils, and animal fats while creating a slip resistant work surface. 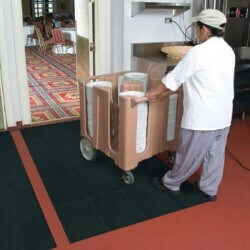 With a 1/4" thickness and a solid top surface that allows for cart traffic to easily pass over the mat. 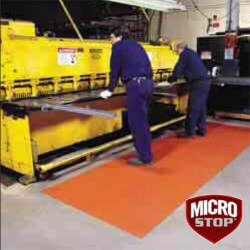 Manufactured with MicroStop™ anti-microbial rubber compound. Niru® Knob-Top Runner™ is reversible further extending the service life of the mat making it the perfect product for industrial and food service applications where a continuous length of comfort and anti-slip matting is needed. Production time: 3 to 5 business days. 1. Manufactured with MicroStop™ anti-microbial rubber compound that inhibits the growth of bacteria and fungi to provide a cleaner and healthier work environment. 2. Available in standard Nitrile rubber (Brown) and 100% Nitrile rubber (Rred) compounds for varying degrees of grease and oil resistance. 3. 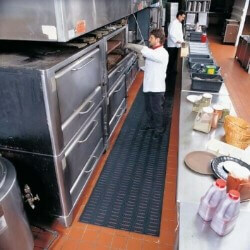 Tested and certified by the National Sanitation Foundation (NSF) for grease and oil protection and durability. 4. 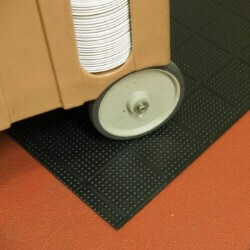 Provides sure traction in wet or greasy areas. 5. 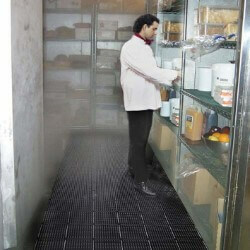 Lightweight design for easy handling and cleaning. 6. Modular design with connecting system for longer lengths and custom configurations. 7. Drainage system removes liquid and debris from worker platform. 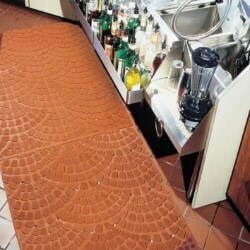 Stock Sizes: 36" x 72", 36" x 48", 36" x 36", 36" x 24"
Warranty: 2 year limited warranty (Brown), 3 year limited warranty (Red). 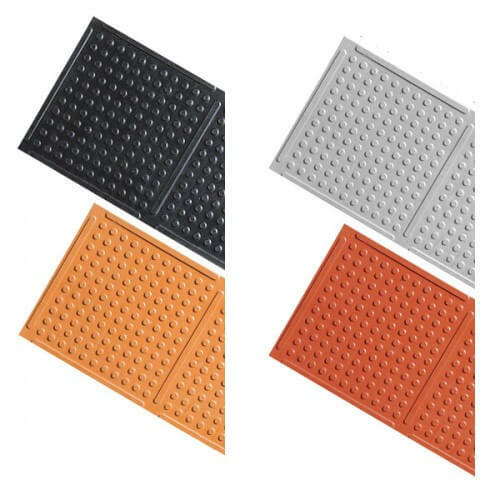 Application Requirements: Flexible configurations, exposure to grease and oils, good drainage, anti-fatigue, anti-slip properties.